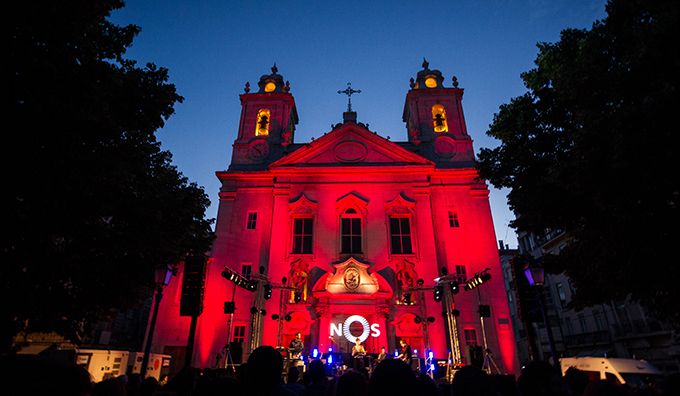 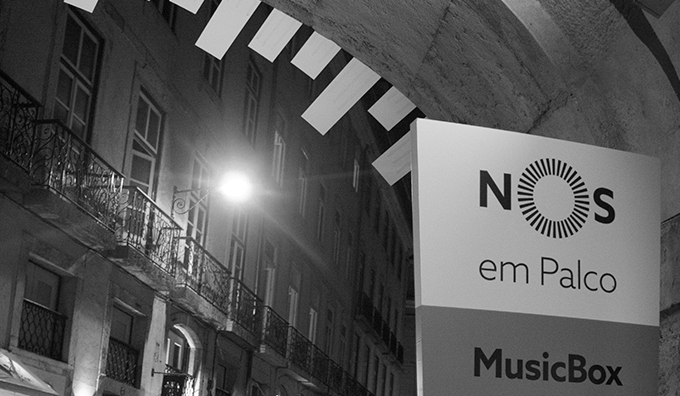 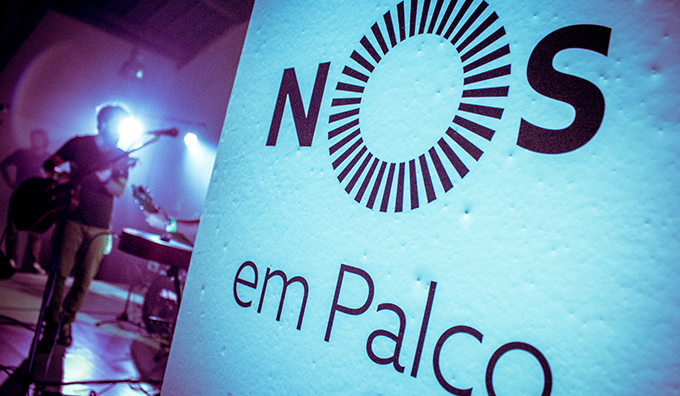 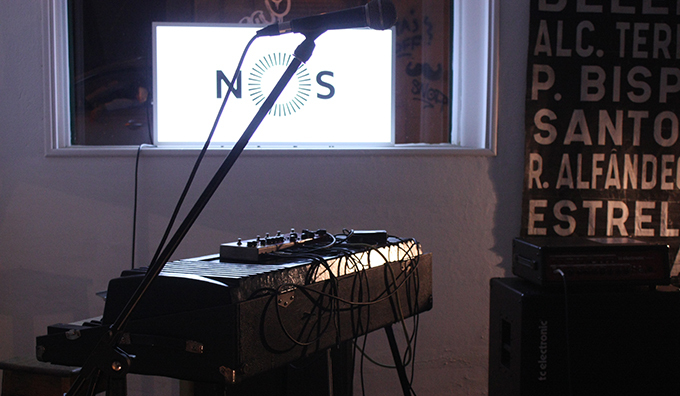 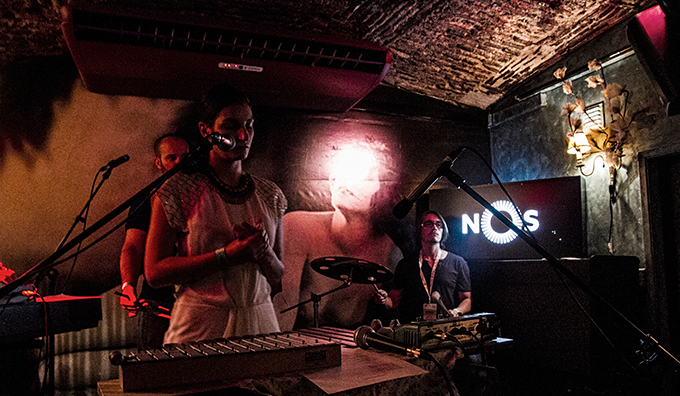 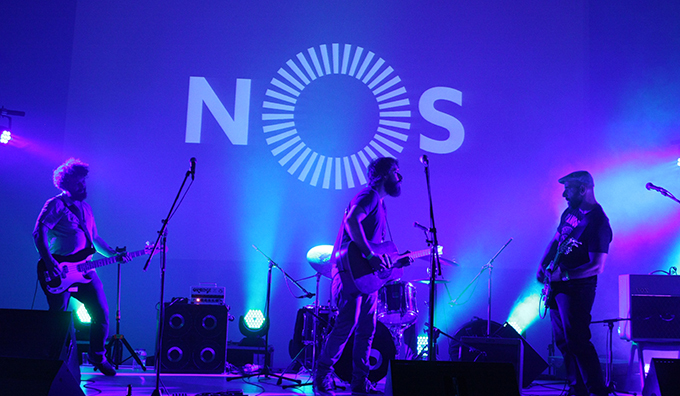 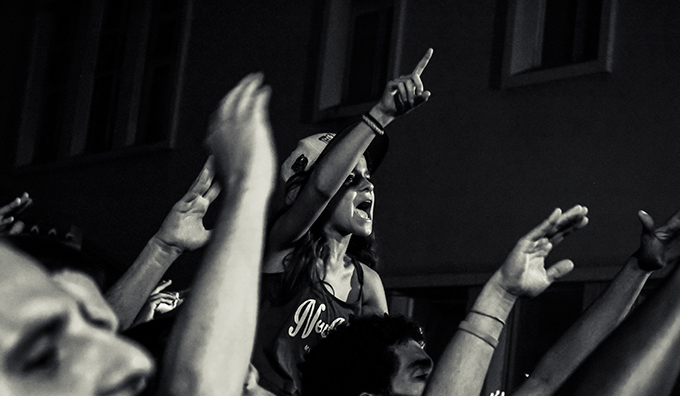 In June 2014, NOS – a brand new operator in the telecommunications sector – promoted the event NOS on Stage. 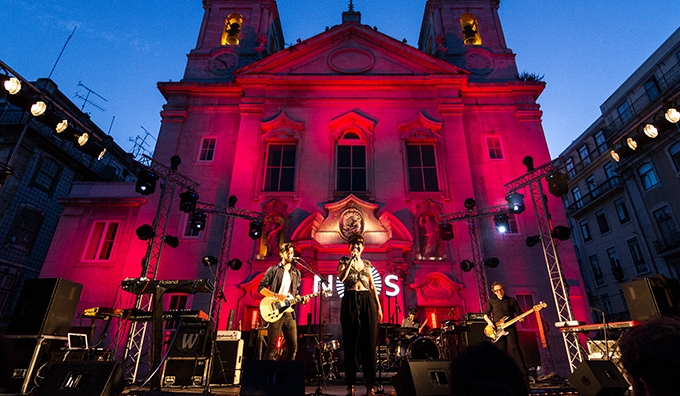 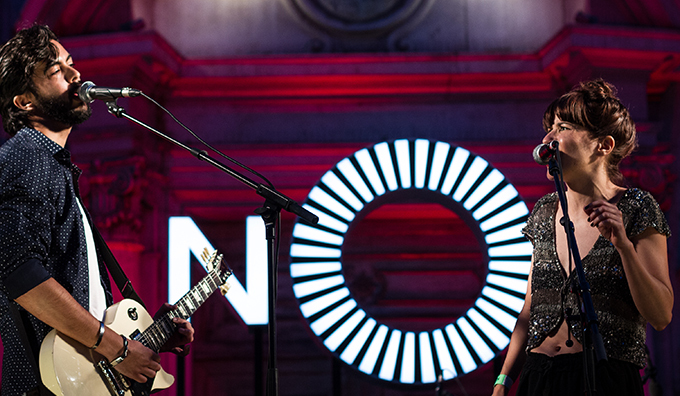 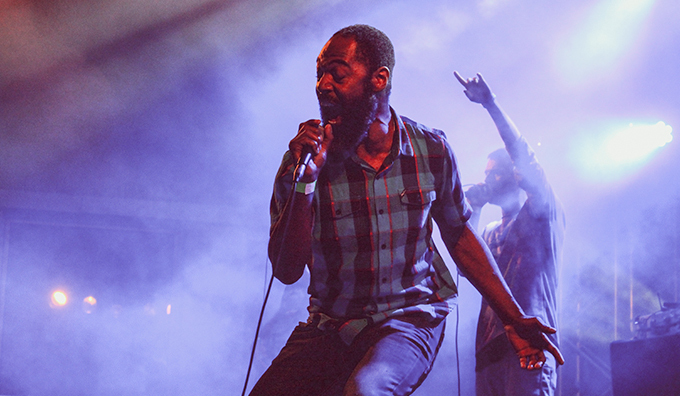 The event featured 30 Portuguese bands and artists, performing simultaneously in 13 different stages that were set up in a one kilometre area, in various iconic locations around Lisbon’s riverfront, attracting 35,000 people. 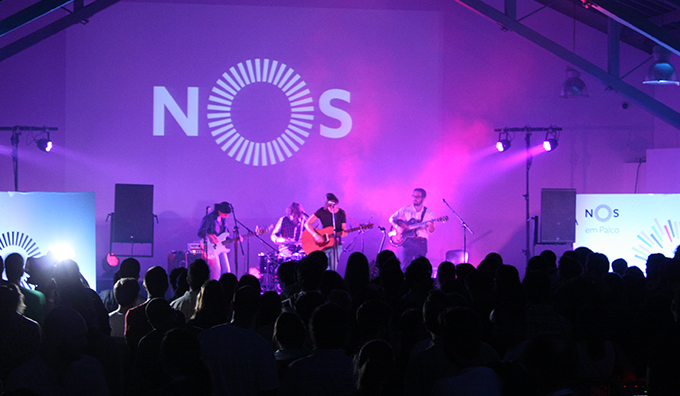 Each band played for up to 60 minutes, with the biggest bands performing in the three main stages, set outdoors. 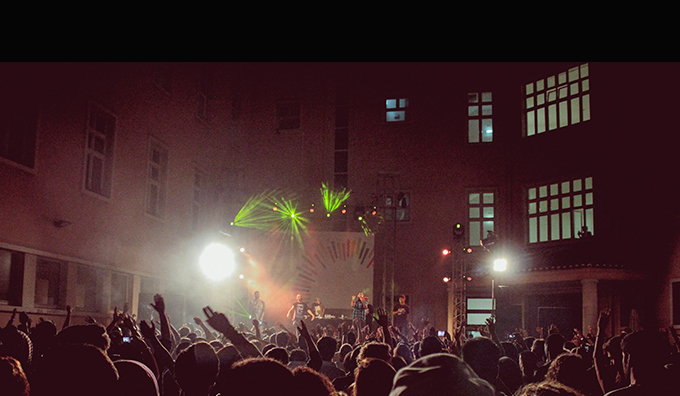 The concerts marathon started at 09:00 pm and ended around 02:00 am with. 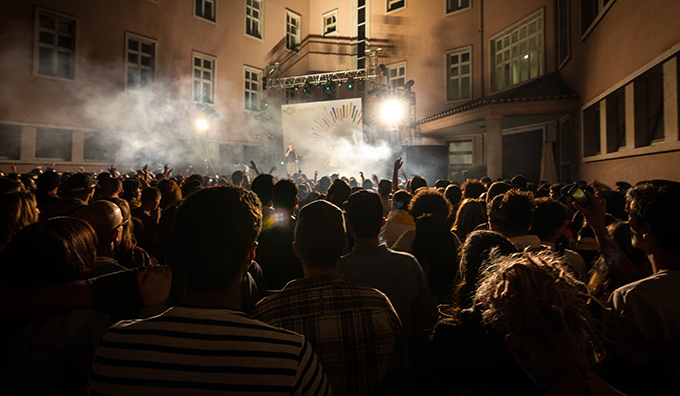 After the concerts, the party continued long into the night in Musicbox. 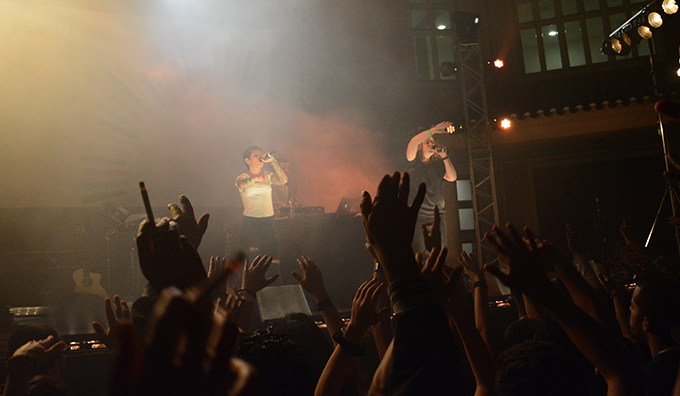 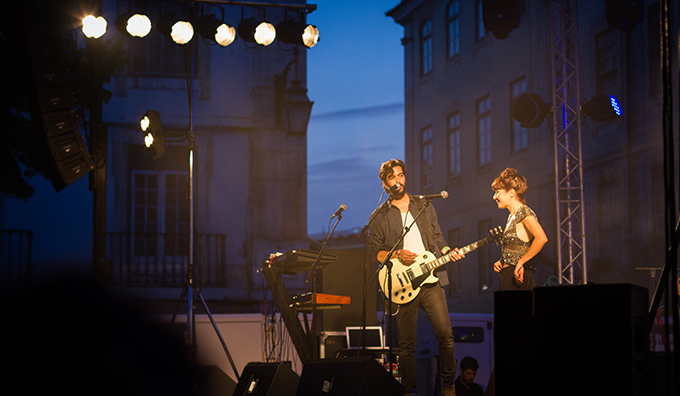 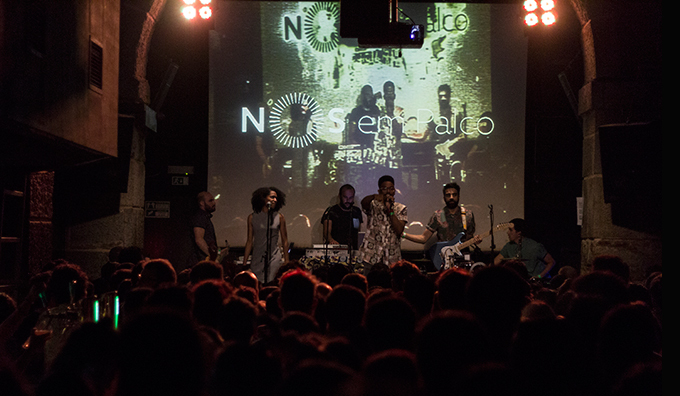 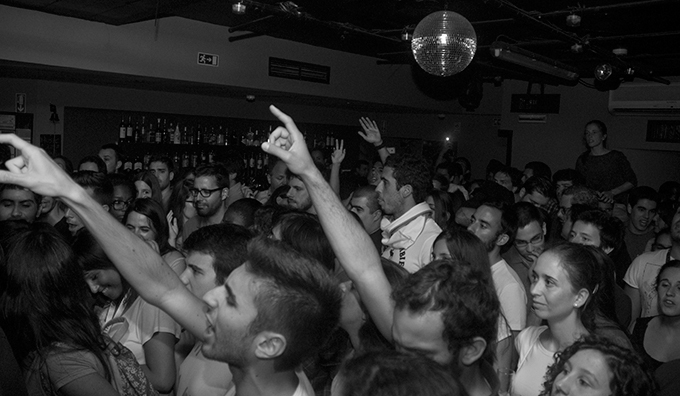 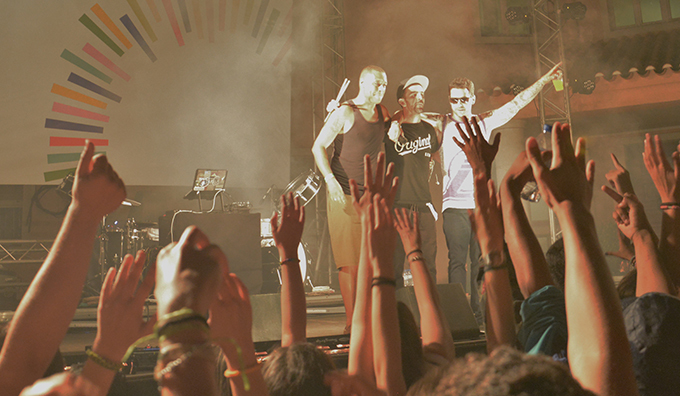 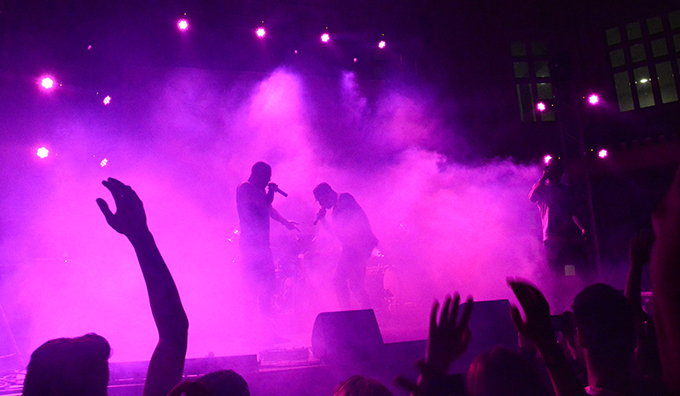 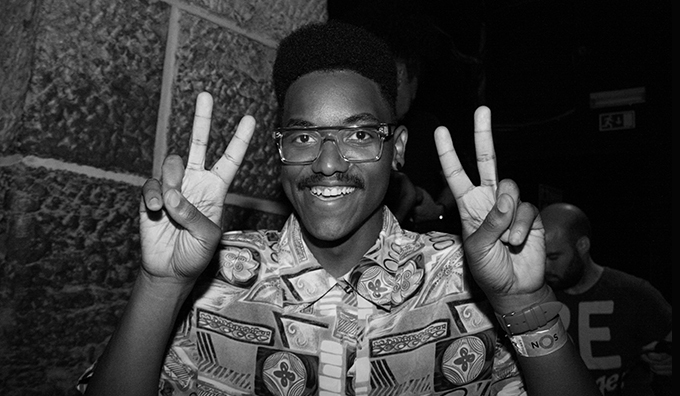 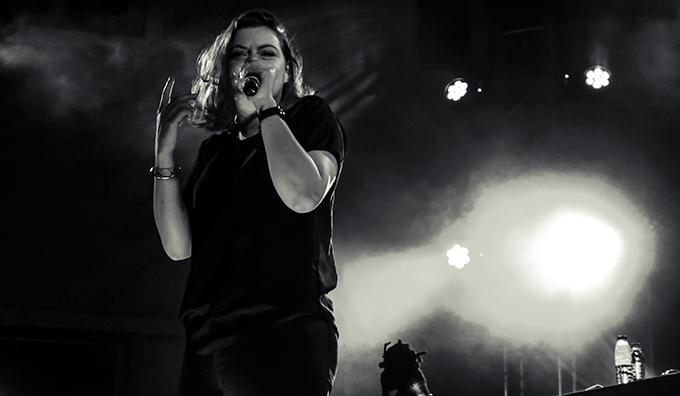 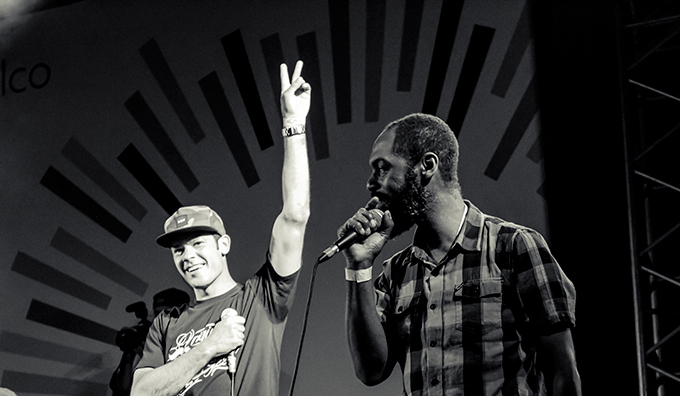 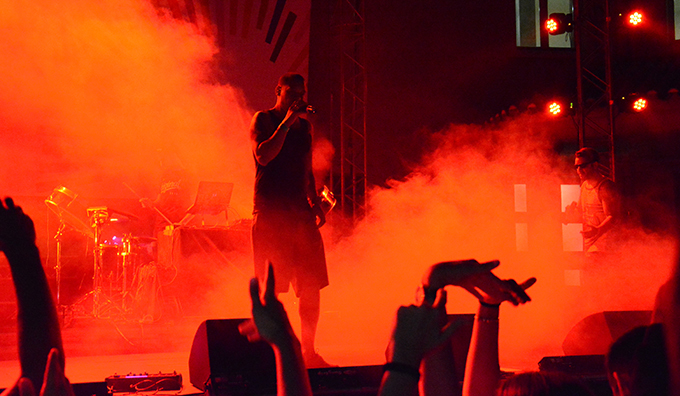 Portuguese musicians, providing recording support and promoting contact with different audiences through live performances. 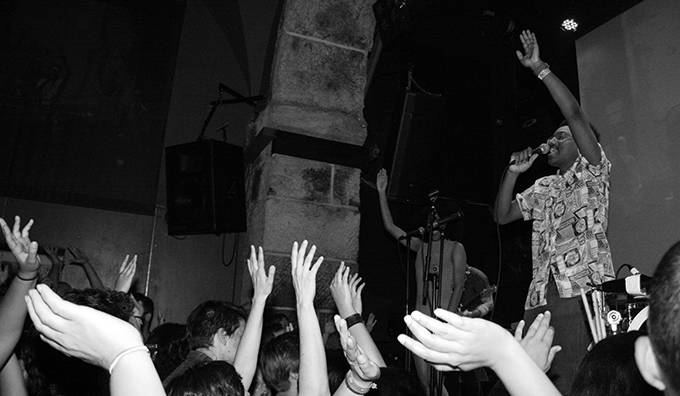 The live music marathon took place in three open air stages that were set up in Praça do Município, Largo de São Paulo and Central Station and it was extended to the main clubs and venues in the renovated Pink Street (Pensão Amor, Musicbox, Sabotage, Velha Senhora, Tokyo, Europa), as well as to Lounge, Boavista 73, Auditório Etic and Elevador da Bica. 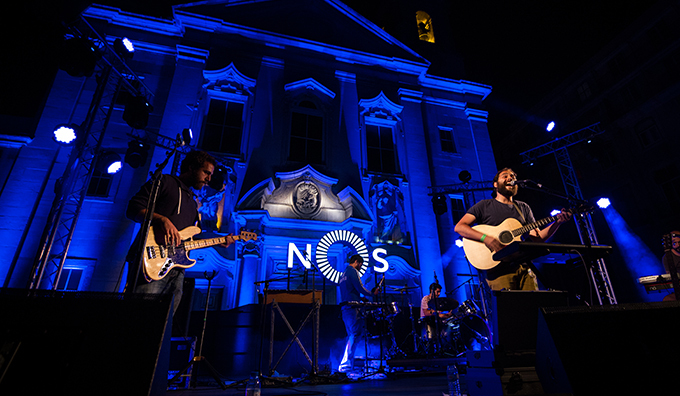 In addition to the 35,000 people who had the opportunity to come to Cais do Sodré and watch live the concerts, the event was live streamed and broadcasted on national TV. 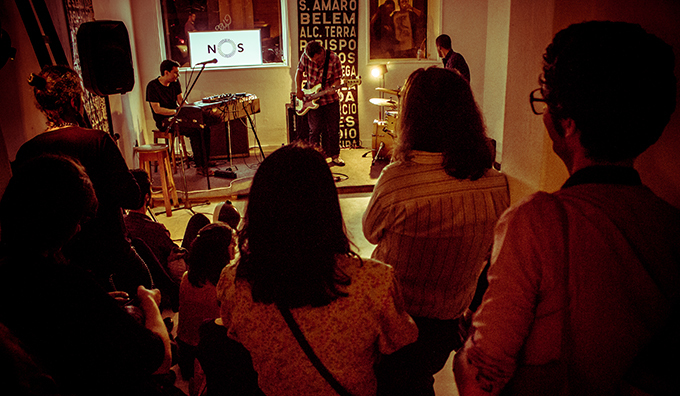 The line-up for the concerts marathon included: You Can’t Win Charlie Brown, Dealema, Capicua, 5-30, D’Alva, Mirror People, Best Youth, Sequin, Stereossauro, Octa Push, Matilha, Duquesa, Nicotine’s Orchestra, Stereoboy, Ermo, Márcia, Time for T, Little Friend, Rosemary Baby, Ciclo Preparatório, Pedro Puppe, Francis Dale, Pedro Lucas, Minta & the Brook Trout, Tape Junk, Chibazqui, Red Trio and Voxels.